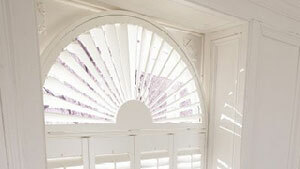 If you’re not aware of tracked shutters, finding the best way to dress a big window or french door can be a challenge. These functional designs use full-height panels that are hinged to special tracks, making it possible for the tracked shutter to open and close in a concertina-like style. 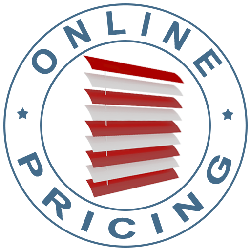 This sliding-hinge is crucial to the strength of our tracked shutters and ensures that even the widest window can be fashionably decorated without any sort of loss of steadiness. Take a look at the ranges on offer. 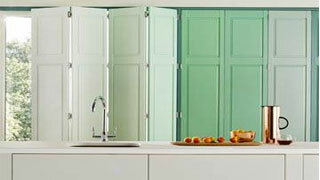 As with all our styles, tracked shutters can be tailored to your needs. If you want a design for your cloakroom, utility, en-suite or kitchen you might want to look into our waterproof style. Alternatively, for the bedroom, sitting room or dining room then check out our timber and craftwood options. 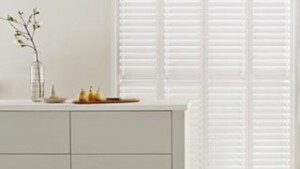 You can further tailor your tracked shutters by figuring out whether you are looking for a natural wood or painted finish, as well as the louvre size and even the hinge colour. Book an in-home appointment with one of our advisors and benefit from an expert’s advice while making your decisions. As well as giving you all sorts of suggestions, your advisor will measure the windows and offer you a no-obligation quote. 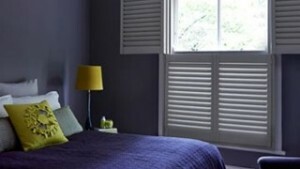 Why Choose Tracked Shutters From Us?